Hospital stay for 6 days after Auditory brain response due to tachycardia when waking up from anesthesia. She was born Pink and full of life, surgery wasn’t needed, and we got to bring our baby home from NICU after 5 days she was born. 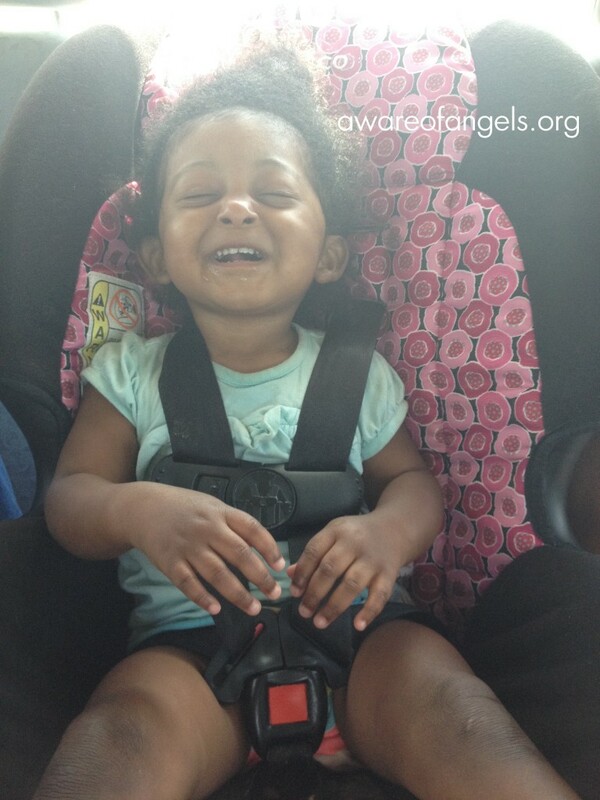 We had many follow-up with pediatrician and cardiologist to keep an eye on her heart. 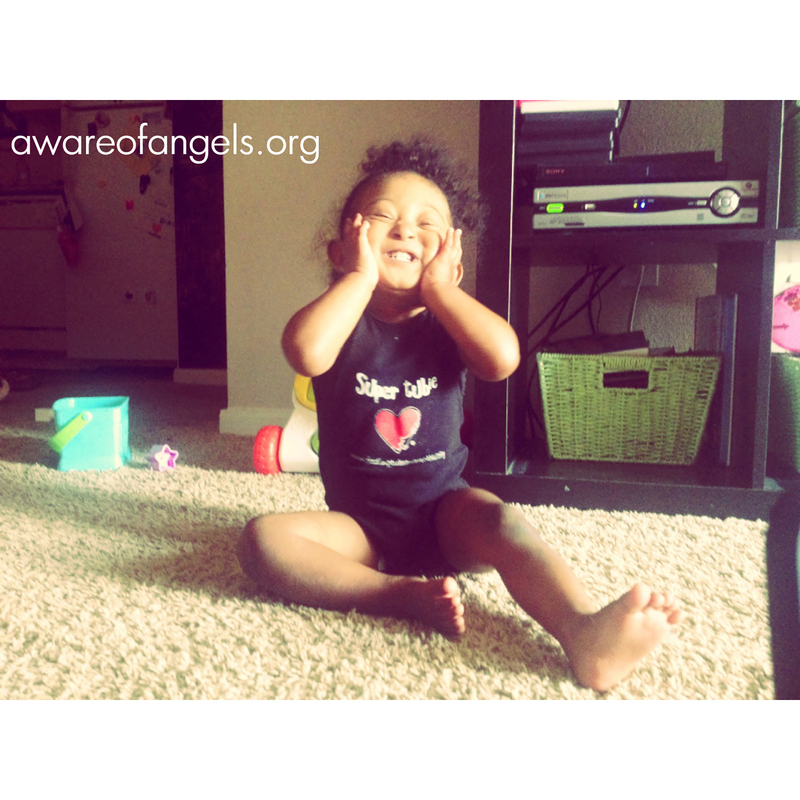 Naylah was growing and her heart was doing just fine, however she wasn’t meeting milestones. She didn’t smile until she was 3 months old, couldn’t tolerate tummy time due to head control. I was feeding her 2-3oz every two hours and she wasn’t a newborn anymore. It was a tough time, where we could barely get any sleep, because of frequent feedings. Every time we would go to the cardiologist, he assured us, that it wasn’t due to her heart getting her tired too quickly. He had also notice that her ears sat too low and her head was too small. 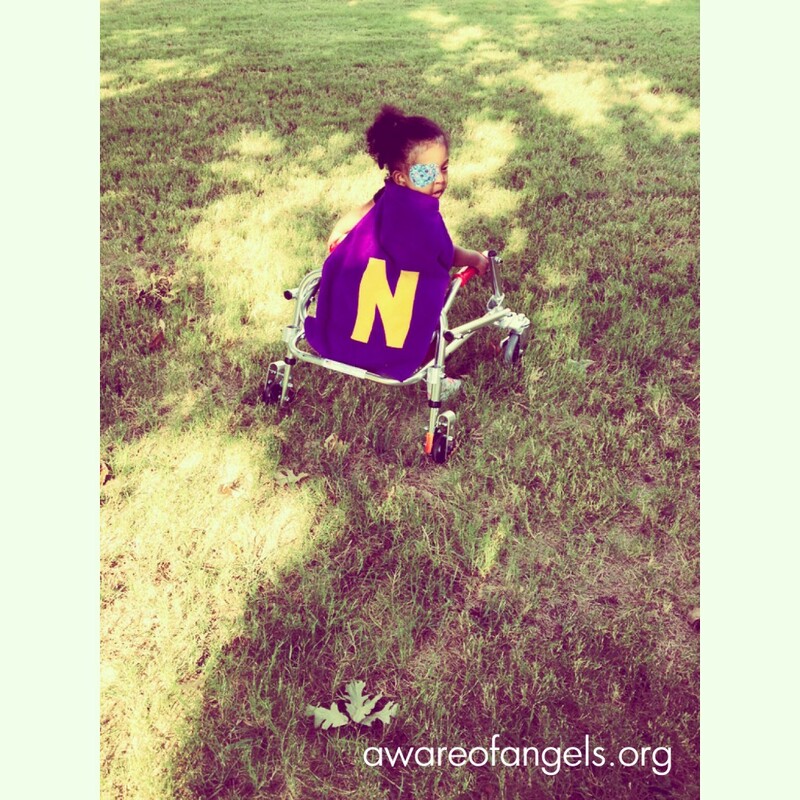 At about 4 months he suggested to see a geneticist and test Naylah for any abnormality. We got that phone call that changed it all. The geneticist wanted to speak with us. I knew then something was wrong, but what could it be? It’s been two years, what a two years has it been. I once felt lost and hopeless. I once felt like there was nothing I could do but wait. There is so much more to it. Two years has gone by, those feelings are far behind, and when they hunt me I shake it off. Put things back in place. I feel proud of all she achieves, I feel proud of her milestones. I am proud of being her mother. Yet, every time we are somewhere I am still curious about children ages and their height and weight and all they can do and compare to my child who can’t do all that YET. I still try to protect her the best way I can, while showing the world her beauty of being different. I accept that. I accept the fact she hasn’t reached out all her milestones yet. That she isn’t talking or eating a full meal orally. It’s a daily hard work, teaching her new signs; show her how to use her boards with new images. When she eats it is a patient game, until she shows interest. 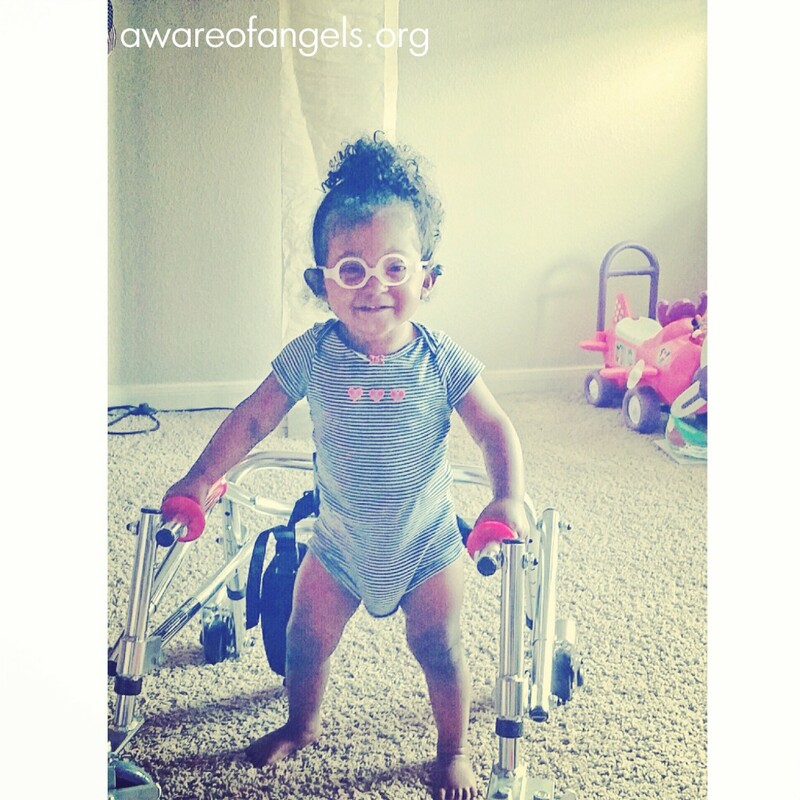 She needs help from specialists to get to do things others children her age do. It could have been much worse. She could of been undiagnosed or medically need more things. She lights up a room with her smile and her cuddles. She is the boss of her own body and mind, when she wants to do something she will do it, always had, always will. It’s not an easy journey, but acceptance plays a big part. I accept her differences and I am proud of the little human being she is trying to become. I accept that she may or may not catch up on her delay and she will always have her differences and be behind. That she may always have different needs than a typical child. Most of all, I accept the fact my head may not be always held high. That I may shed many tears along the road and have many days of doubts, but that’s not because of my child different needs than yours that is “typical”, it is because I am her mother and not everything comes easily, because there will be days I will feel like I failed to do my best and because we all have days of doubts, of fears, challenges that are not easy and choices to make. Along with that, there will be plenty of moments of pride, happy tears and big achievements. At the end of the day, two years in this journey or not I am just a mother, trying to do what I think I do best, raise my child the best way I can. While her, she shows me a totally different world, what once I thought was unknown became our new normal and it’s totally okay.